With spring quickly – and thankfully – approaching, it is time to start thinking about storing away your winter clothes. Although you may be tempted to toss your clothes in a cardboard box and throw them in your storage unit, properly storing clothing takes a little extra care and preparation. In this blog, Affordable Family Storage in Topeka, Kansas discusses some simple storage solutions that protect and preserve your clothes for years to come. 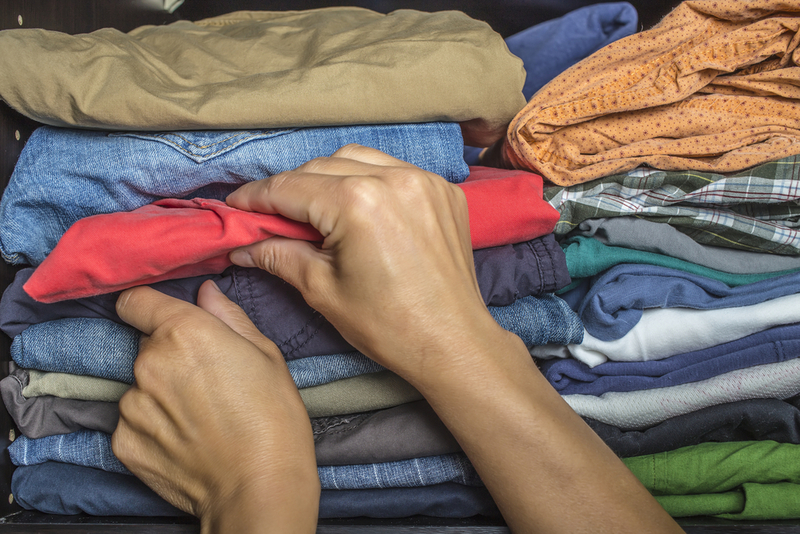 Before you put your clothes into storage, be sure to launder and press them. Stains and unpleasant orders are likely to set into your clothes over time and will be more difficult to remove in the future. When you take your clothes out of storage later, you will thank yourself for taking the time to clean them. When it comes to storing clothes, cardboard boxes are not the way the go. Boxes leave your clothes susceptible to heat and humidity, which can lead to mold and mildew growth. Instead of cardboard boxes, utilize plastic containers with tight, sealed lids. This storage solution will protect your clothing from the elements and keep out bugs or any other unwanted visitors. Vacuum seal bags are another great storage solution for clothing. Not only are they fantastic space savers, but they will also protect your clothes from dust, moths, and more. Despite these benefits, vacuum seal bags may not be best for long-term storage. Compressing your clothing for a long period of time may actually damage the fibers and diminish the quality. For short-term storage, like a few months, vacuum seal bags will work just fine. Clothes should always be stored in a cool, dark, and dry place. This will prevent damage from heat and humidity, as well as fading from exposure to light. This is why a climate-controlled storage unit is the ideal storage solution for your clothing. Unlike traditional self-storage facilities, climate-controlled storage maintains a consistent temperature throughout the year, effectively protecting your clothes from the elements of nature. Although climate-controlled units may cost a little extra, they are well worth the cost. If you are looking for a convenient and affordable storage solution in Topeka, Kansas, look no further than Affordable Family Storage. We have climate-controlled storage units in a variety of sizes, so you are sure to find a storage solution that fits your needs and budget. To book your storage unit, contact Affordable Family Storage today!